This year, we were fortunate to enjoy a number of long stays in our second home in central Italy. Though we savor any trip to our beloved Bel Paese, leisurely visits are by far our favorite. We're able to slow down to match the pace of our quiet Umbrian town, catch up with old friends, venture out on day trips or weekends to explore new places and experiences, and circle back to our old stand-bys a second - or tenth - time around. Though time flies no matter how long our trip lasts, a long stay reminds us of just why it was we fell in love with Italy so many years ago. We enjoyed some incredible food in 2017, some at newly discovered eateries in both Italy and Switzerland, and some at long-time favorites that have withstood the test of time. This year's list of our five recommendations is a mixed bag of old and new, including restaurants we have been dining at for years and a couple that hooked us at the antipasto. 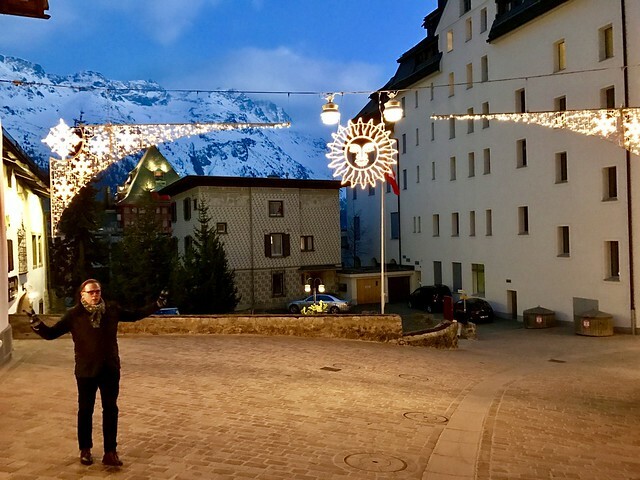 We recently announced that we are expanding beyond Italy to include custom itineraries in Switzerland, and we have been venturing across the border for the arduous task of researching the prettiest Alpine towns, most luxurious hotels, and best restaurants. We were pleasantly surprised by the excellent cuisine we discovered along the way, and look forward to sharing our favorite spots with our travelers in the future. One of our most memorable dinners was at the rustic-yet-refined Chesa Veglia of the landmark Badrutt's Palace Hotel in St. Moritz. Chesa Veglia, Romansh for “old house”, is a historic farmhouse in the center of town that was converted in 1936 into three small restaurants -a traditional Swiss stuben, a pizzeria, and a grill - and two bars, all part of Badrutt's Palace, though not located in the hotel. Though the atmosphere is casual, the doormen outside and exemplary service reflect the five-star luxury of Badrutt's Palace and give Chesa Veglia the feel of a private club. The Grill Chadafö is the most formal of the three restaurants, and the dishes are quite expensive. Open only in winter, the grill uses the farmhouse's original stone oven to prepare their roasted and grilled specialties, has a homey feel with warm wood decor and vintage tableware, and often features live piano music in the dining room. This is the perfect spot for an excellent, hearty meal in a unique historic setting. What's local: Their signature roast Poulet de Bresse seasoned with rosemary is about as good as chicken can get. Our tip: The menu is almost exclusively roasted and grilled meats, so vegetarians should opt for one of the other restaurants in Badrutt's Palace. We have long been enamored with the area's excellent cuisine, especially local parmesan and prosciutto makers. Just north of Modena, home to balsamic vinegar, and Bologna, where the world's best tortellini are turned out by hand, Parma and its surrounding countryside are a mecca for gourmands. It was during a drive through this countryside that we stopped for the first time at Stella d'Oro in the small town of Soragna outside Parma. 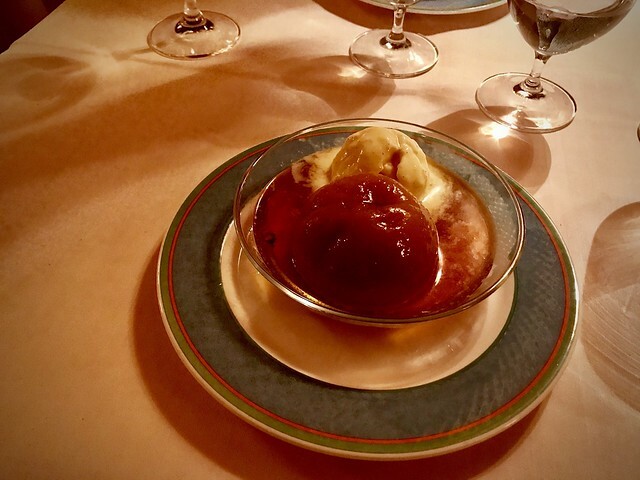 Stella d'Oro has been serving local specialties since 1860, but was taken over by chef Marco Dallabona in 2001 and in just over a decade earned a coveted Michelin star. The cuisine is based on updated classics from Emiglia-Romagna, served with elegance in the restaurant's formal dining room, and features local specialties like charcuterie aged by the chef, traditional tortellini and ravioli, roasted pheasant or rabbit, a selection of artisan parmesan cheeses, and zabaione. 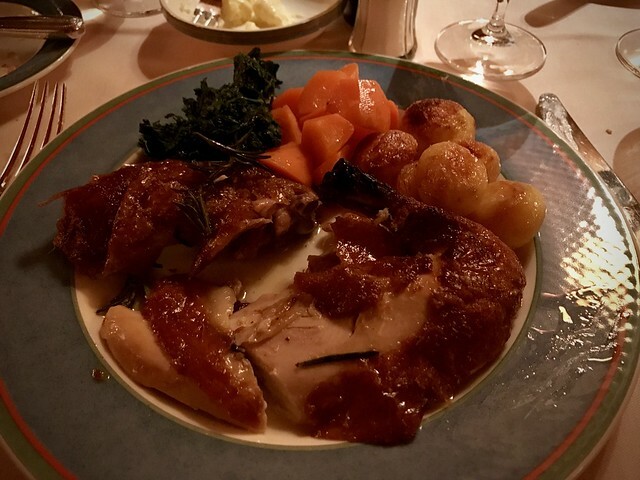 Though Stella d'Oro has all the refinements of fine dining, the welcoming hospitality of the chef and staff (many of whom are family members) makes a meal here the perfect balance of Michelin-star elegance and Italian-style warmth. We enjoyed an excellent lunch of timeless classics, served with straightforward authenticity and genuine service. Our tip: Dallabona is particularly attentive to celiac disease and gluten intolerance, and the lion's share of the menu is gluten-free. 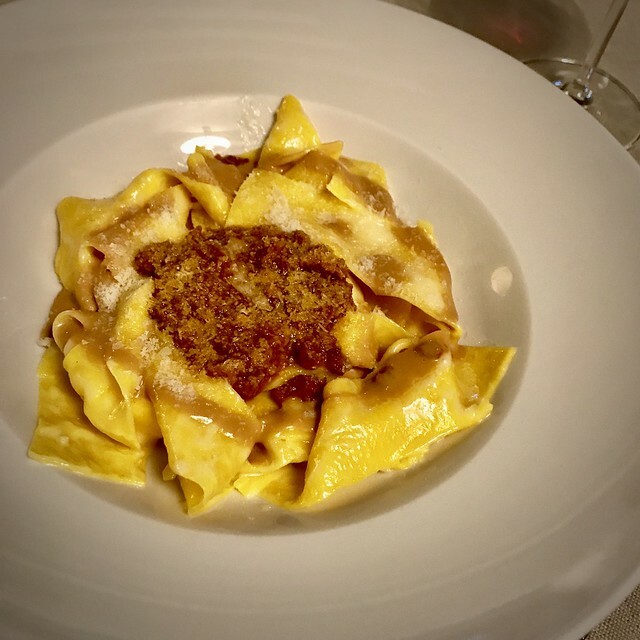 Where Stella d'Oro is a Michelin-starred restaurant that was new to us, Florence's imposing Enoteca Pinchiorri has been a favorite for aficionados of fine dining - including ourselves - for years. 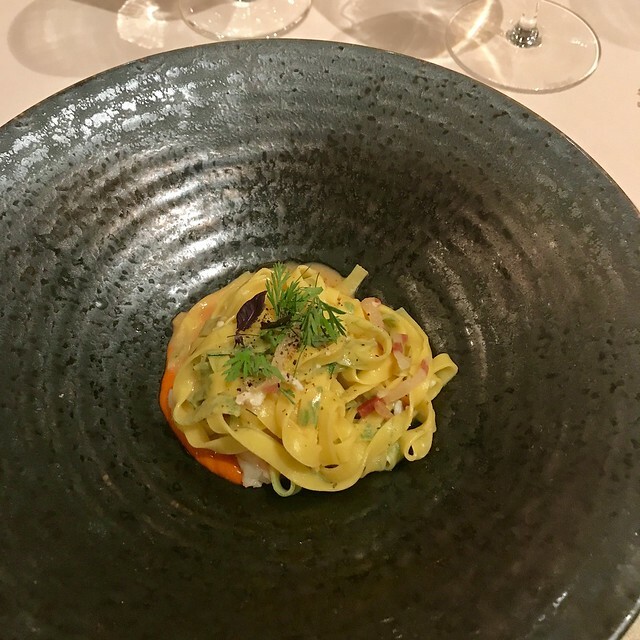 The apogee of Italian gourmet cuisine, this three-Michelin-star restaurant in the center of Florence is where you are guaranteed to have an incredible dining experience…at an incredible price. The Enoteca was founded in the 1980s by Giorgio Pinchiorri and Annie Féolde, who became the first woman outside of France to earn three Michelin stars. Pinchiorri, originally from Modena, became known for his unique wine selection and his innovative “wine by the glass” service while working at the Enoteca Nazionale, and Féolde, his French partner, began to prepare dishes to accompany these stellar wines. In just a few years, Enoteca Pinchiorri was born and has become one of the most famous restaurants in the world. Today, the Enoteca's kitchen is run by chefs Riccardo Monco and Alessandro della Tomassini, who carry on the tradition of impeccable traditional cuisine, under the watchful eye of Féolde who monitors both kitchen and dining room. We chose the menu focused on the flavors of Italy and every dish was delicious. 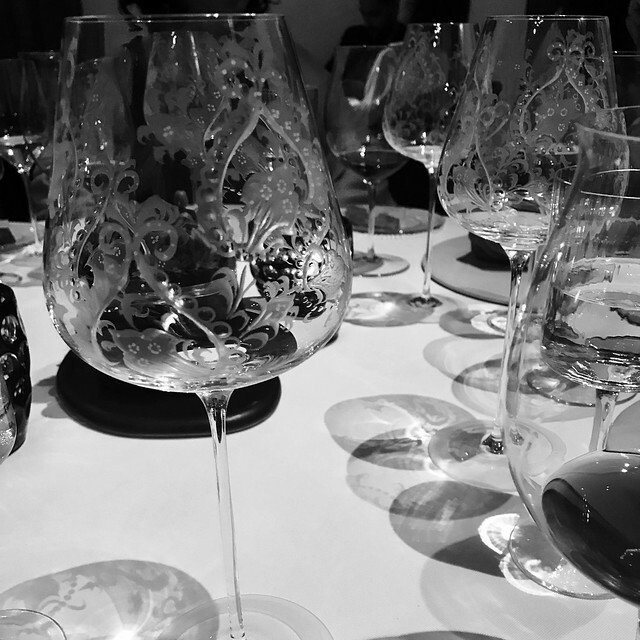 The presentation wasn't too fussy and we were especially impressed with the gorgeous decanter and glassware collection used throughout the evening. 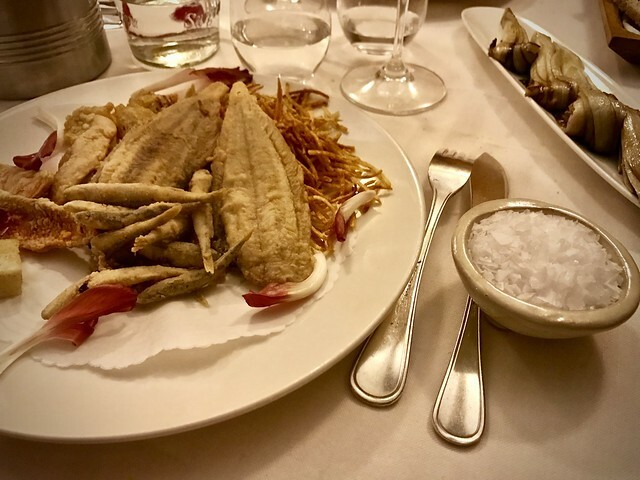 The restaurant is located in the elegant Palazzo Jacometti-Ciofi, and offers private rooms, smoking rooms, and a 16th century courtyard for dining al fresco in summertime. 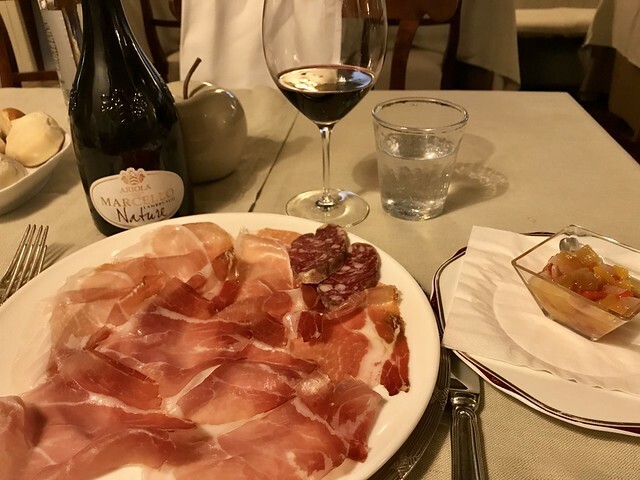 What's local: The Enoteca sources its heirloom breed Mora Romagnola pigs from a farm in Emilia-Romagna, and the pork is particularly flavorful. Our tip: This is by far the most formal (and expensive) restaurant we have ever been to, but a once-in-a-lifetime experience that you won't regret. 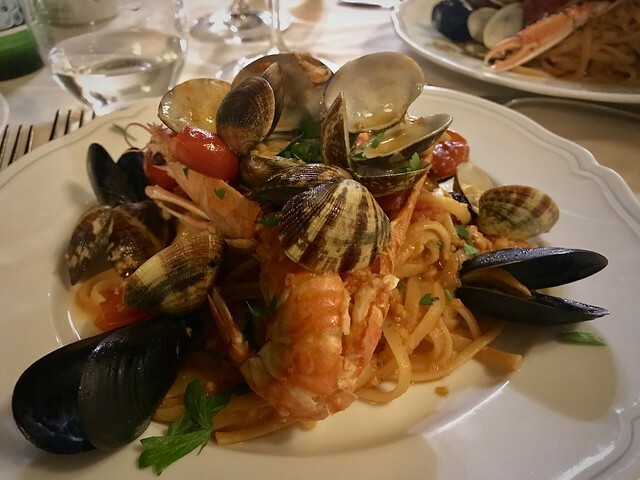 Al Covo is one of our go-to restaurants in Venice, and popular among American visitors who appreciate the menu of local seafood with innovative twists on traditional Venetian classics. This family-owned establishment, run by Venetian chef Cesare and Diane, his Texan wife, has been around since 1987 but really became famous after a New York Times review in 1992. Since then, it has been a favorite for food writers and guides but has maintained its excellent quality, warm hospitality, and attentive service in spite of all the attention. The dining room is charmingly rustic, with a low wood-beamed ceiling and yellow-stuccoed walls, set on quiet side street with indoor and outdoor seating. The dishes are rooted in Venetian tradition, made with fresh, locally-sourced ingredients. The wine list includes over 200 labels from the best Italian and international producers, with particular emphasis on organic and biodynamic selections. What's local: No meal at Al Covo is complete without a slice of their signature dark chocolate cake with buttercream frosting, an import from Diane's American heritage. Our tip: This popular restaurant is often completely booked during high season, so be sure to reserve a table in advance. 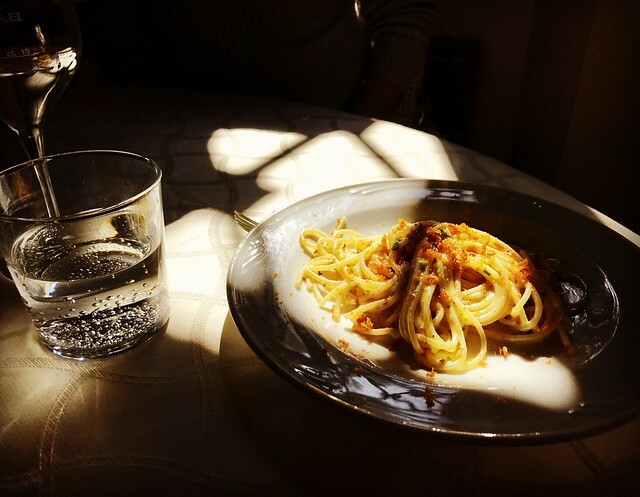 We've been living in and traveling to Italy for so long now that we even have our “comfort food” spots, long-time favorites where we know before we even sit down what we are going to order. Ristorante Sabatini in Rome is one of these, a traditional Roman trattoria that we have been eating at for years and where we have never had a disappointing meal. Set right on Piazza Santa Maria in Trastevere, we amuse ourselves watching the buskers and tourists in the square while enjoying the informal Roman service and old-school dishes. What's local: The menu is very traditional, and it is a great place to sample Rome's seafood. 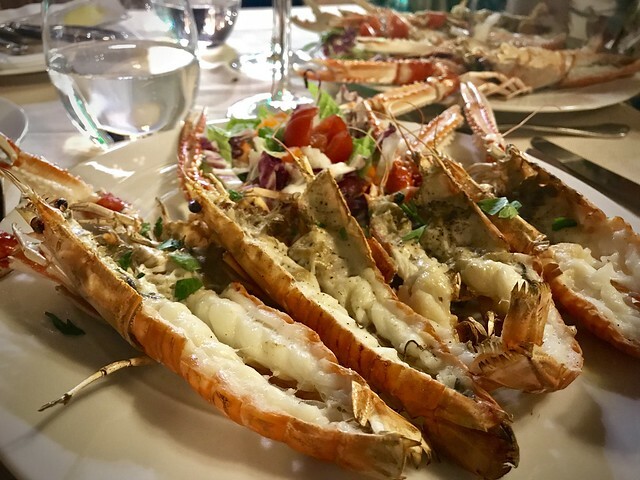 Our tip: We have been going for so long that we always order the same thing: their seafood pasta followed by grilled scampi and porcini mushrooms washed down with bottle of Frascati.